An architect is usually the first port of call if you are planning to remodel a house, but when it comes to planning a garden, it’s less clear who is the professional you should be talking to. Are garden and landscape designers really necessary and can they make a difference? What do they do, how do they work and what should you look for when seeking a good one? Our guide covers everything you need to know about hiring a garden designer. And when you've figured out what kind of help you need, get practical advice on how to plan, design and cost your garden transformation. How does a garden designer differ from a builder or gardener? An obvious question, perhaps, but a garden designer is neither a gardener nor a builder. These trades' experience and skills lie in the practical areas, and their training won’t include elements such as spatial design, drawing/computer-aided design and planting design. Trained gardeners (those with a minimum Level Three or Royal Horticultural Society Level Two qualification in horticulture) are invaluable for keeping a garden looking beautiful. An experienced builder can lay an attractive patio – but for a comprehensive redesign, a gardener or builder is not best placed to offer advice on the bigger picture. How do garden designers work? Many garden designers tend to work on a design-only basis. This means you’re engaging a specialist in the field who will usually take responsibility for all the design work, specifications and appointment of appropriate contractors to complete the work at a fair price, as well as act on your behalf in any discussions. Some will have a list of preferred contractors, or they’ll advocate that you use one they trust and regularly work with. Design and build companies (often a collaboration between a designer and landscape contractor, or a landscape company with in-house designers) are common and will undertake all the design services and the construction work. Design and build is quite an attractive option as it keeps everything ‘in house’ and can therefore speed up the process. Just make sure it’s easy to deal with the person who is doing the design work. Some design and build companies will want separate fees for both the design and the construction, while others may combine the two in the overall price. For clarity, it’s better to ask that the two are identified separately, because if you decide to delay the project for some reason or you’re not happy with the design and suggested alternatives, then you’re not tied in to paying for the whole thing. What do garden designers cost? You really do get what you pay for when budgeting for a garden redesign. A very low or non-existent garden design fee doesn’t mean value for money, as it’s likely that site clearance or construction costs will be higher to compensate. What’s more, a low fee might mean it’s not a good piece of design anyway. Garden/landscape designers offer various services, from a day’s consultancy (around £225 to £750), to help with complicated aspects of planning and building regulations. If you are working to a small budget, employing a designer to redesign the whole space is certainly a luxury that you might not be able to afford. Instead, could they help with certain aspects? A new planting design, for example, probably won’t take more than one to two days in design time, costing between £250 to £750, depending on the designer. Even in a tiny garden this might be unnecessary; with research, could you undertake the whole thing yourself? There are plenty of small garden design books to help you. Find out more about how to save money on your garden design. How much does a garden redesign cost? A totally new garden does cost more than you think, even if you keep some existing features. It’s very hard to complete even a small garden with a relatively simple design for less than £6,000 to £7,000 once design fees, materials, plants and employing contractors (which normally amounts to at least half the budget) are factored in. Most new garden designs cost in excess of £10,000, and that’s for a small garden. A suburban garden will probably be in the region of £17,000 to £25,000. This might seem a lot, but consider what you might spend on a quality kitchen or bathroom and how much this adds to the value of your home and quality of life. Remember, that figure doesn’t need to be spent all at once. Implementing a design proposal can be phased as and when money is available. So, in year one, construct the hard landscaping, for example, notably the patio, walls and paths. Build ponds, pergolas and water features (unless they’re built-in) in year two and plant in year three. How much to spend on a garden redesign? There are different hypothetical models try to help you decide on a budget. Some recommend spending 5 to 15 per cent of the house's value on the garden/landscape, which in turn will add a similar, if not a much larger amount, to the value of your home. Others talk about allocating at least £100 per square metre of garden; some double this figure. Unfortunately it’s not that simple, because there are so many options. A small garden full of hard landscaping, garden lighting and a bespoke water feature might well cost more than a typical suburban garden that can accommodate a large lawn and more planting, which significantly helps to keep down costs. These models don’t factor in site complexities such as slopes and drainage either. How to redesign your garden on a budget? If your budget is tight, one service which may help – particularly if you’re a complete novice – is employing a designer for a day’s consultancy (most offer this service) to help get you off on the right foot. For one day you’ll have an expert professional who will look critically at your space, consider your wants and needs and suggest an appropriate style with suitable materials and plants, sketching out different options in the process. This means you can then take up the mantle, knowing that you’re going in the right direction. You wouldn’t build a house without seeking advice, and the same goes for a garden. How does a garden redesign work in practice? Other garden services that might follow include the production of tender documents if multiple quotes for works are needed; project management during the build; and aftercare services such as maintenance schedules and management plans. Of course, not all projects need every service listed above. For some, a masterplan to help organise your thoughts or clarify a direction and your ultimate goal over the coming years is enough. For other projects, it might just be the planting that needs attention, which can usually be solved in one or two days rather than a few weeks of design time, and this obviously costs a lot less in fees. Good designers will be able to advise you on what is necessary with your brief and the site in mind or what would actually work best with your budget. How to employ the best garden designer for you? As in any professional creative industry, garden/landscape designers come in many forms. Some have a signature style or focus on a specific theme, while others specialise in particular areas, such as planting design or country gardens, but good designers will be able to turn their hand to anything. Choose a designer that you feel is most likely to interpret your wants and needs, and one who will freely offer ideas and suggestions. Spend time looking at their portfolio or website – do you admire their approach or work? It's important to choose a designer with whom you have some rapport. The client-designer relationship can be a complex two-way process that needs creativity and compromise from both sides, so make sure you have someone you can see yourself working alongside. While many garden/landscape designers do have specialist areas of expertise, experience or training in designing for different people (such as children or the elderly), garden law, levels and slopes, drainage, hard landscape detailing and an understanding of plants should be standard. So should an appreciation of the more mundane (but no less important) aspects of making a garden work, such as storage and where to hang the washing. A designer who can effectively communicate their proposals to you and to the people who are going to construct the garden is also vital. You need to fully understand the ideas on the table (ideally in 3D) before paying for them, and landscape contractors, specialist fabricators, lighting engineers and water feature specialists need clear details to carry out the work as intended. What can a garden designer contribute? A professional garden designer brings creativity and a new perspective to your space, while bearing in mind your wants, needs and budget. They can help with everything from planning the entire site or solving privacy problems, to choosing the most appropriate plants for beds and borders, all while helping you avoid costly mistakes. As well as drawing up plans, knowing which plants work where, and how to locate decking, fencing and paving, a designer’s role is also to spend your budget your garden design wisely. An experienced garden designer will analyse both the space and brief, and identify low-cost solutions. Professional garden designers tend to work on a design-only basis, so you’re engaging with a specialist in their field. They will take responsibility for all the design work, specifications and appointment of contractors, as well as act on your behalf in any discussions. Some will have a list of preferred, trustworthy contractors that they work with regularly, while others may be part of a design and build company where you’ll pay for an all-in-one package; this keeps everything ‘in house’ and can often speed up the whole process. Choose a designer who you feel is most likely to interpret what you want to achieve in your garden and who will freely offer ideas and suggestions. You need to fully understand the ideas on the table (ideally in 3D) before paying for them. Plus, landscape contractors, specialist fabricators, lighting engineers and water feature specialists need clear details to carry out the work as intended. 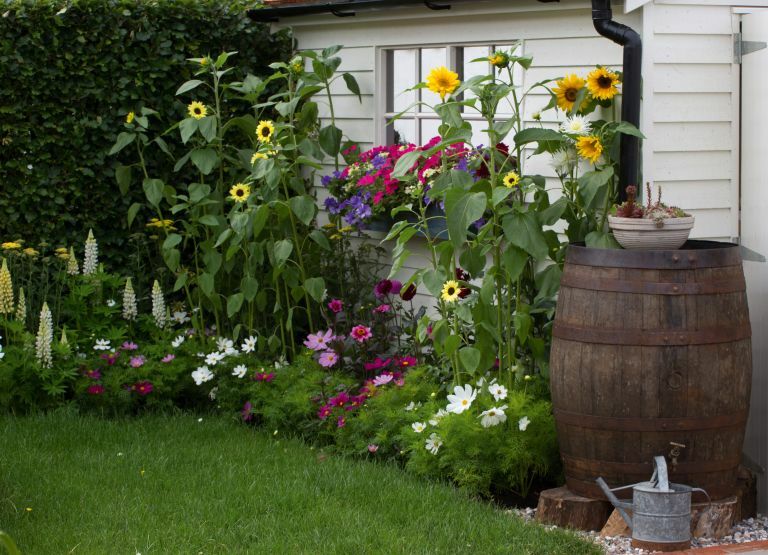 While many garden designers do have specialisms, the areas of garden law, levels and slopes, drainage, hard landscape detailing and an understanding of plants should be standard, as should an appreciation of the more ‘mundane’ aspects of making a garden work, such as storage and where to hang your washing. All vet their members to ensure they meet appropriate standards. However, non-members shouldn’t be overlooked – many great garden designers forgo the adjudication process. Sometimes a quick internet search for design studios or practitioners in your region is just as effective. Personal recommendations are particularly useful, too. Wherever you go to find a designer, make time to discuss their training and experience, plus ask to see their portfolio of past work and images of completed projects to ensure you have someone you can work with. You will find that if a designer is a member of an organisation such as the Society of Garden Designers, it can mean higher fees. However, if the garden designer comes recommended or has a reputation for beautiful work or innovative practice that you love, it shouldn’t be their fees alone that determine whether you choose to employ them, rather that they are the best person for the job.